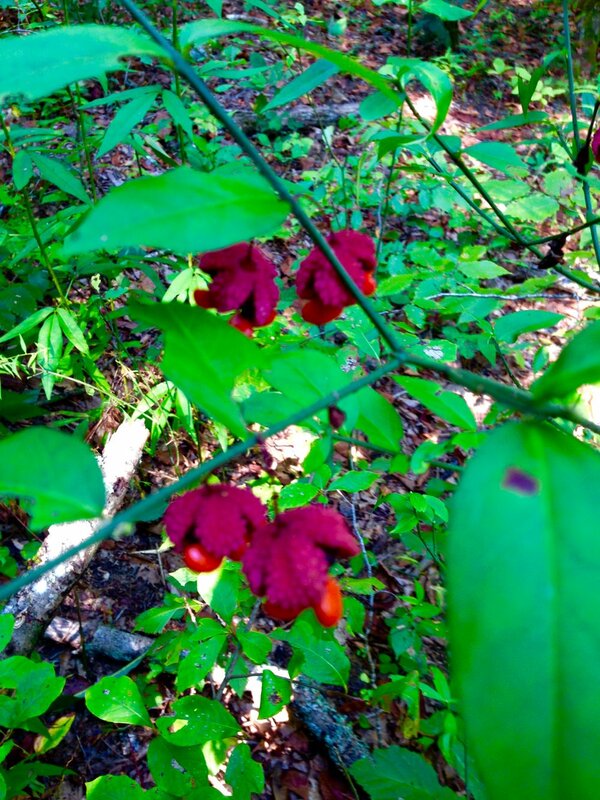 The bright red seed capsule burst open in the fall, giving the plant its name Bursting Heart also sometimes known as Spindle tree. The seeds are dispersed by animals in the forest. Deer have been known to graze on this plant and seem to love the tender leaves and stems.